MSH Ship Management is a UAE based ship management company specialized in running and maintaining state of the art DP2, DP3 heavy lift, pipe layer and accommodation vessels and barges. We have highly qualified crew with many years of offshore experience making us very versatile to assist our charterers to accomplish their complicated offshore projects ie. Subsea pipelaying, lifting of platforms, installation of jackets, etc. We understand that every client and every subcontractor is also a long-term partner and therefore, it is our utmost importance to exceed expectation of our clients by fulfilling project deliverables in the most efficient and cost effective way and ensure profitability and sustainability of those subcontractors and suppliers who contribute to our successful operation. 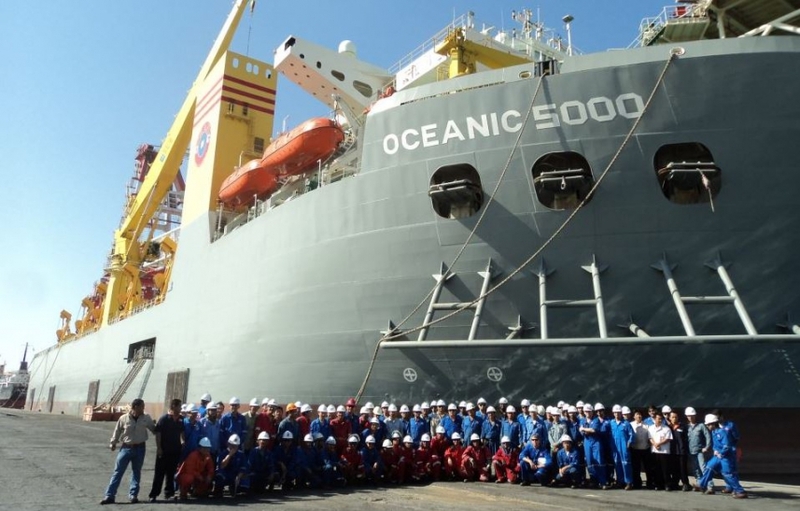 What makes Oceanic 5000 a unique vessel is its robust crane with 4400 MT capacity along with her modern pipe laying system. This enables Oceanic 5000 to be flexible to various offshore operation activities like pipelaying, heavy lifting and subsea works. Her Dynamic Positioning system makes it possible to operate in vicinity of existing structures and pipelines as well as install structures in deep waters without the need to drop anchors. 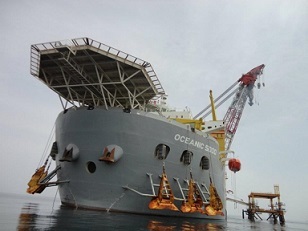 Since delivery in 2011, Oceanic 5000 has installed 30 heavy structures weighing up to 3500t. Relying on substantial experience of laying over 2500km of pipeline in various sized in different geographical parts of the world, makes C-Master an ideal vessel for pipelaying projects. Furthermore, her Dynamic Positioning system and her low draft with keel cooling system, enables her to lay pipe lines even in shallow water. Independency to dropping anchors enables her to lay in congested fields without the risk of damaging existing pipelines.